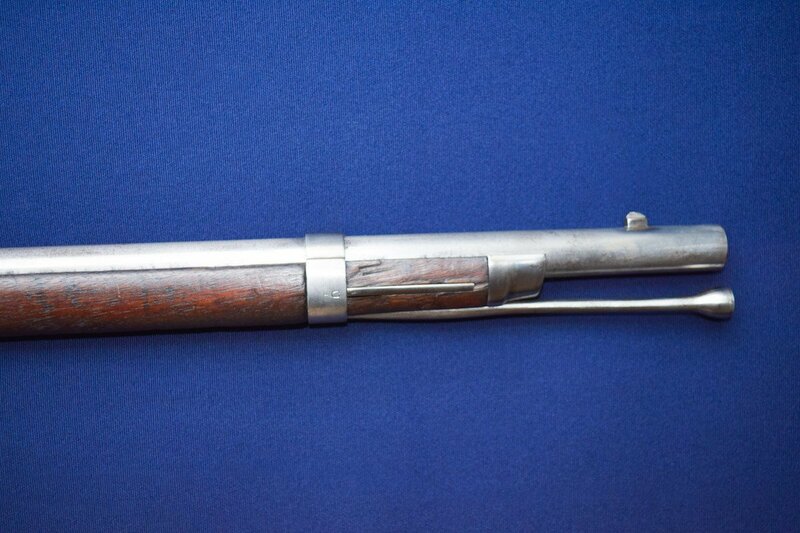 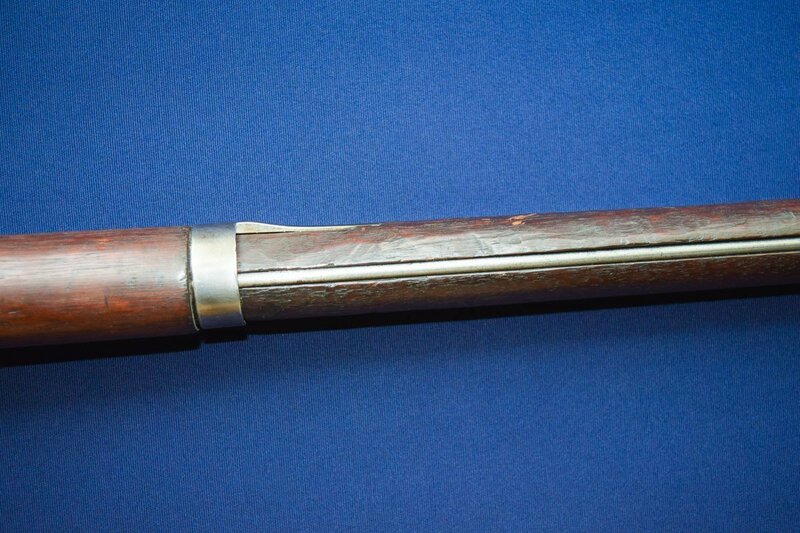 Model 1861 U.S. Percussion Rifle-Musket by Parkers’ Snow & Co., Meriden, Connecticut Dated 1863. 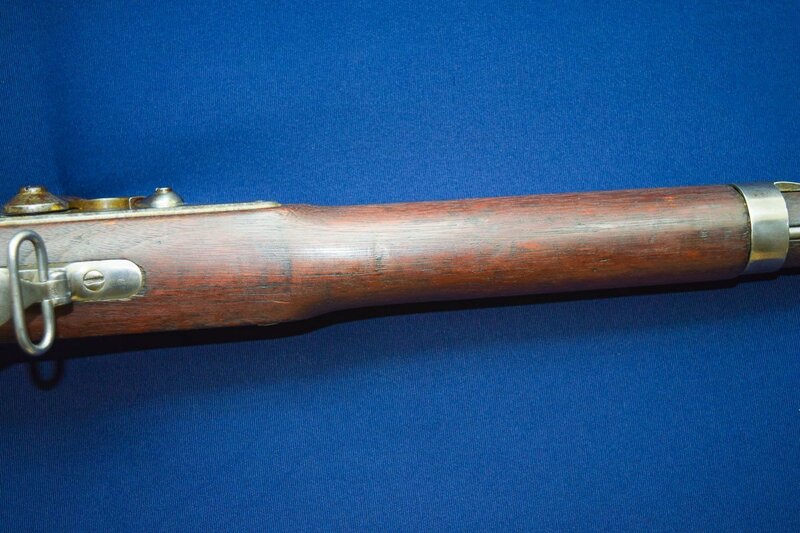 Model 1861 U.S. Percussion Rifle-Musket by Parkers’ Snow & Co., Meriden, Connecticut Dated 1863. 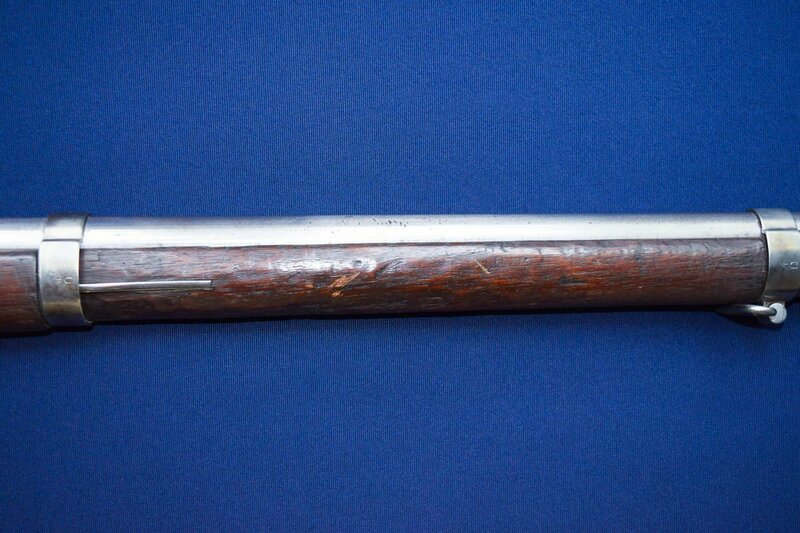 This rifle being Dated 1863 is believed to be the product of James Mulholland Contract of 1861 of which only 5,502 were delivered. 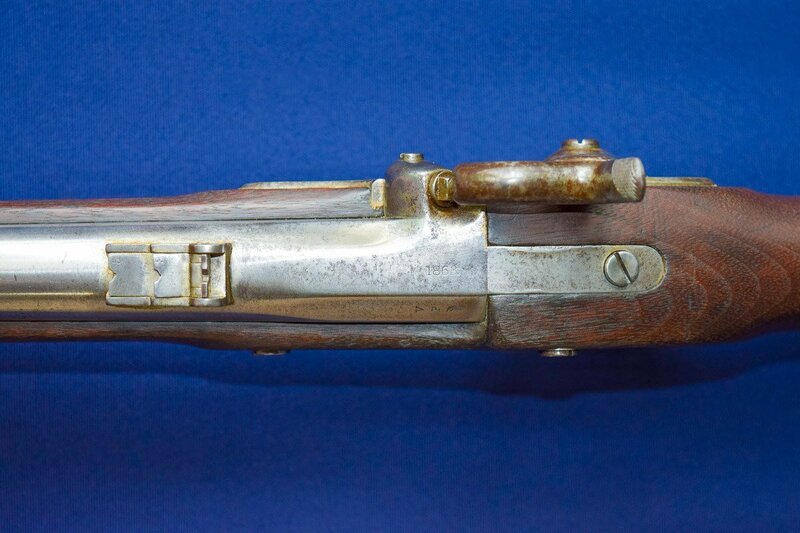 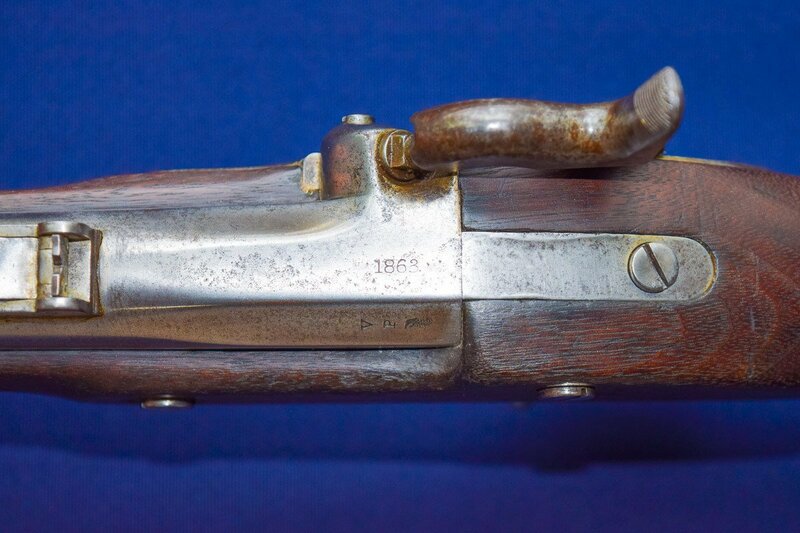 According to Flayderman’s Guide To Antique American Firearms, “it represents the first venture in firearms manufacturing by Charles Parker of Meriden, Connecticut. 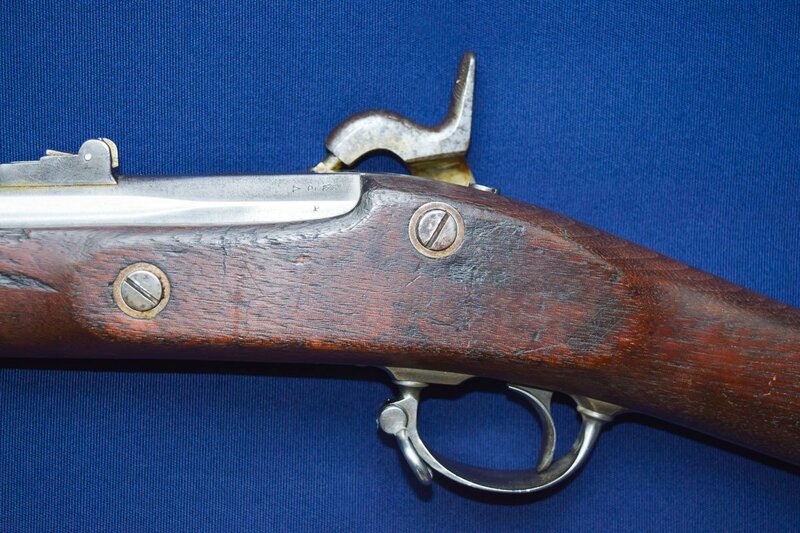 Originally a manufacturer of hardware, he soon, after the Civil War, in 1866-1867 formed what was to become the most famous of all American shotgun Manufacturers, the famous “Parker Brothers”. 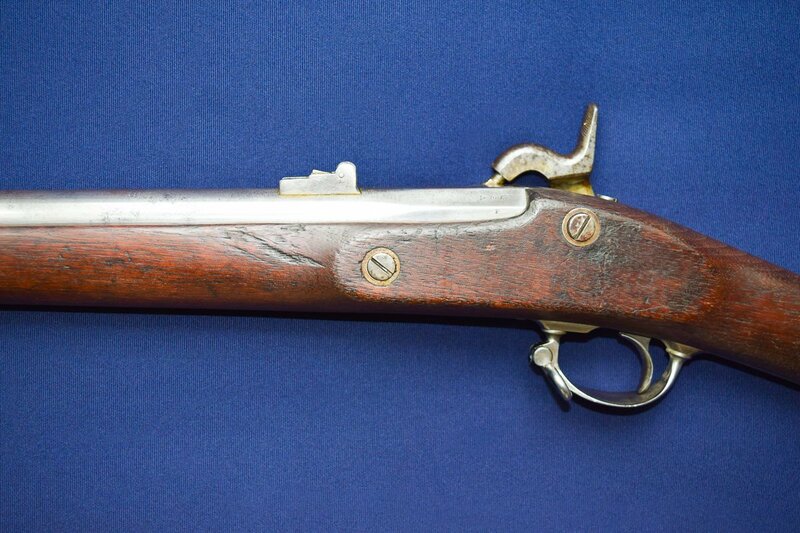 In original .58 Caliber with 40” round barrel secured with 3-barrel bands. 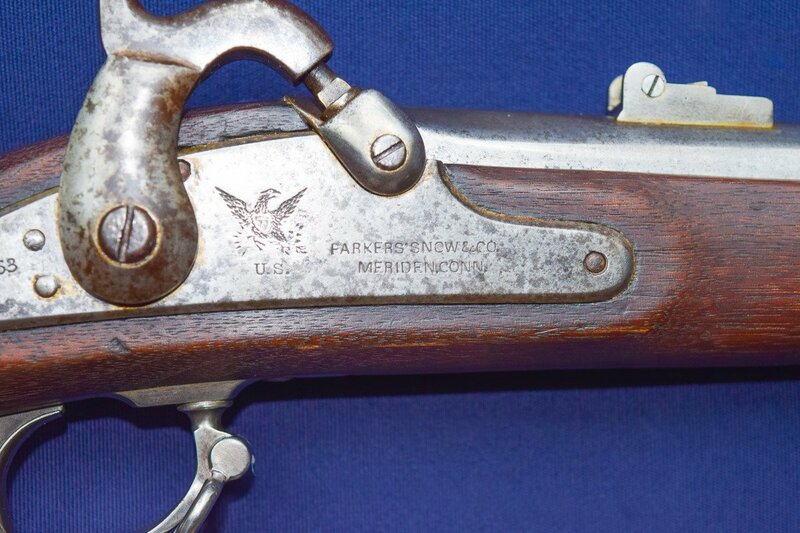 Lock marked with Eagle motif above U.S. with PARKERS’ SNOW & CO./MERIDEN. 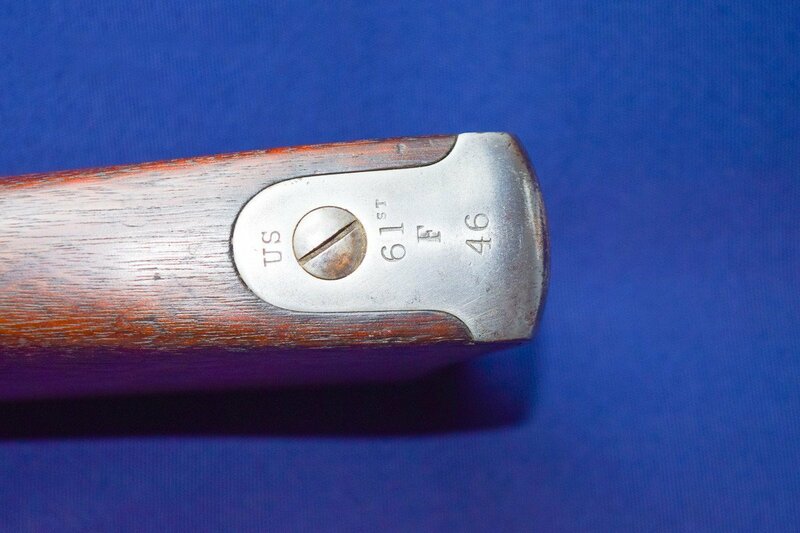 CONN. right of hammer with, “1863” stamped rear of hammer. 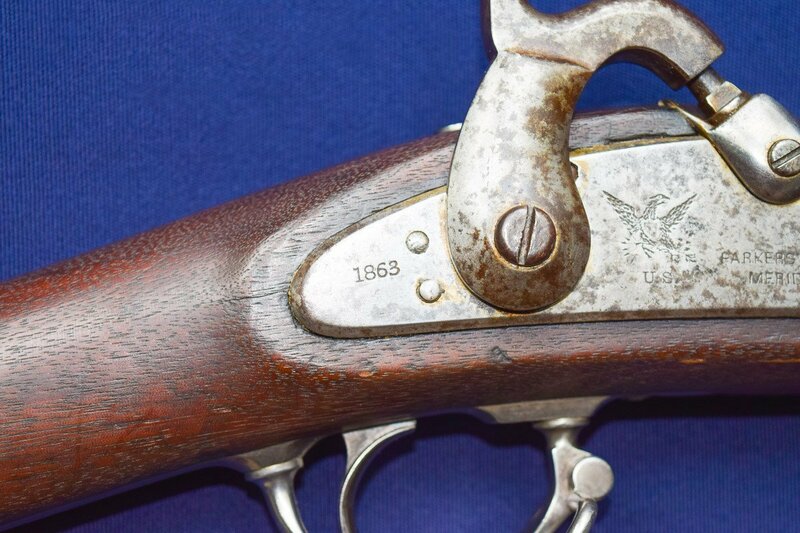 Top of barrel flat is also stamped with “1863” along with left barrel flat stamped V/P over Eagle motif. 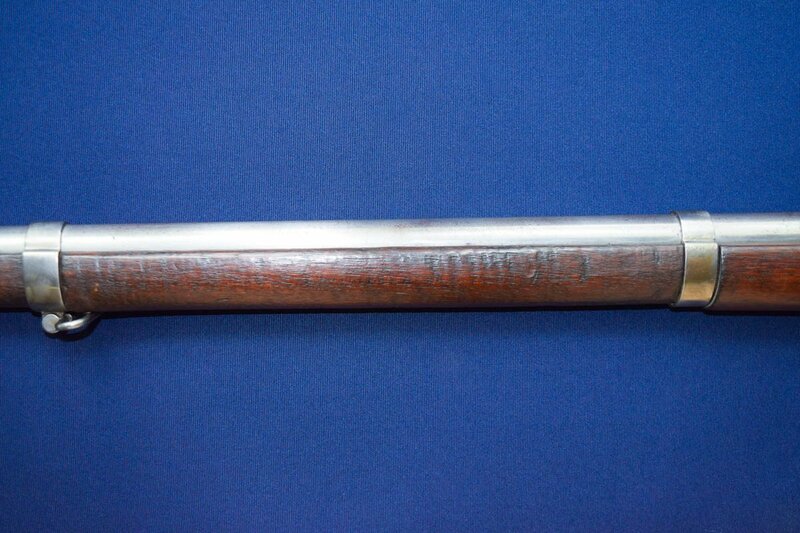 The buttplate tang is stamped with U.S./61st/F/46, armory rack # or regiment marking. 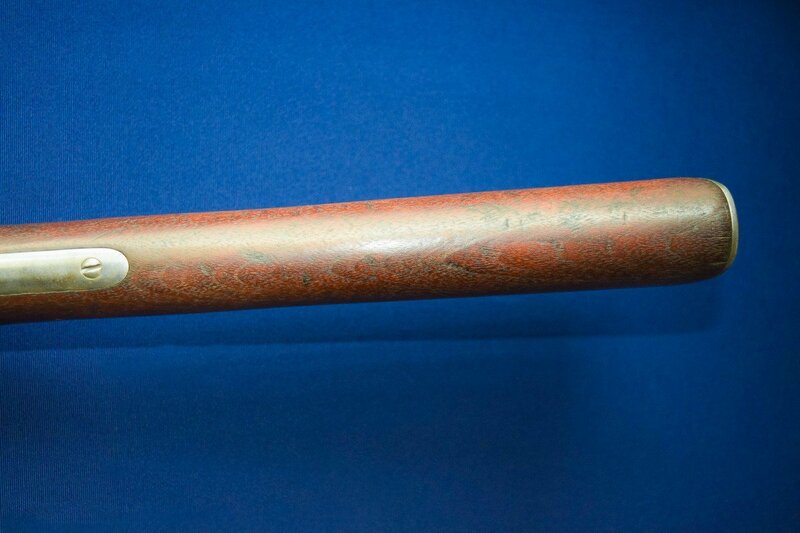 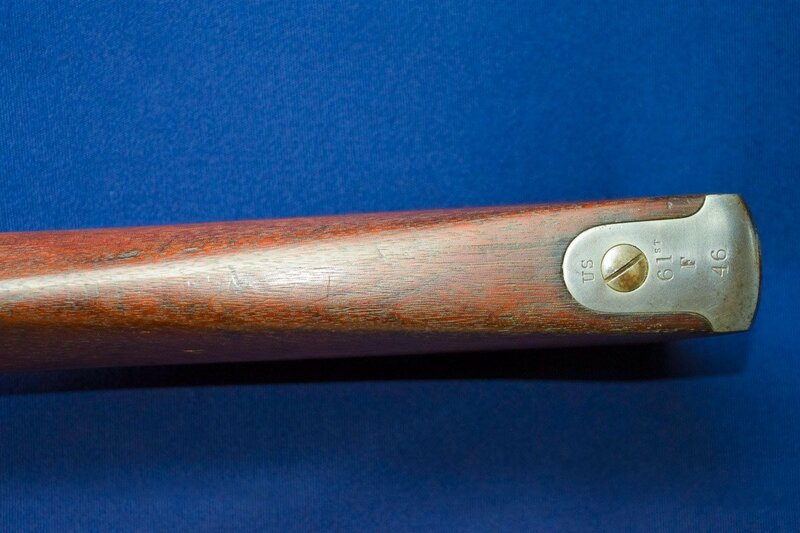 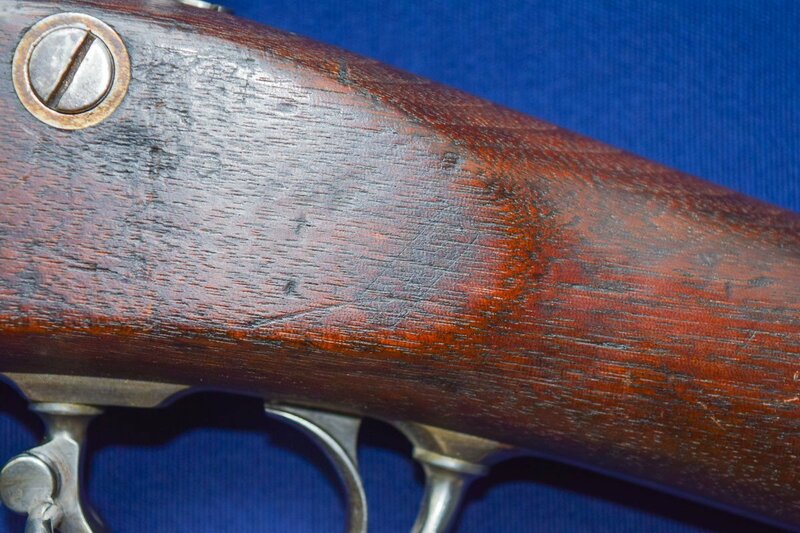 Stock shows visible cartouche on left side above trigger-guard along with several unidentified markings carved into stock. 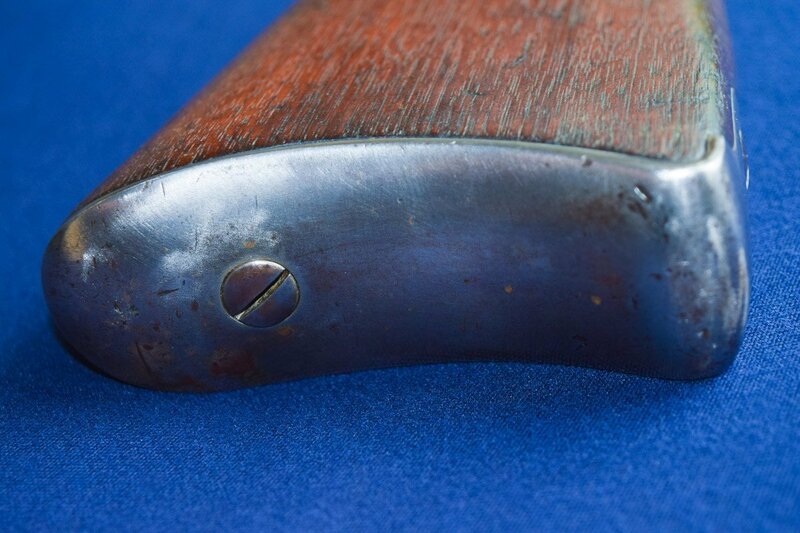 Original folding leaf rear sight showing generous traces of original blued finish. 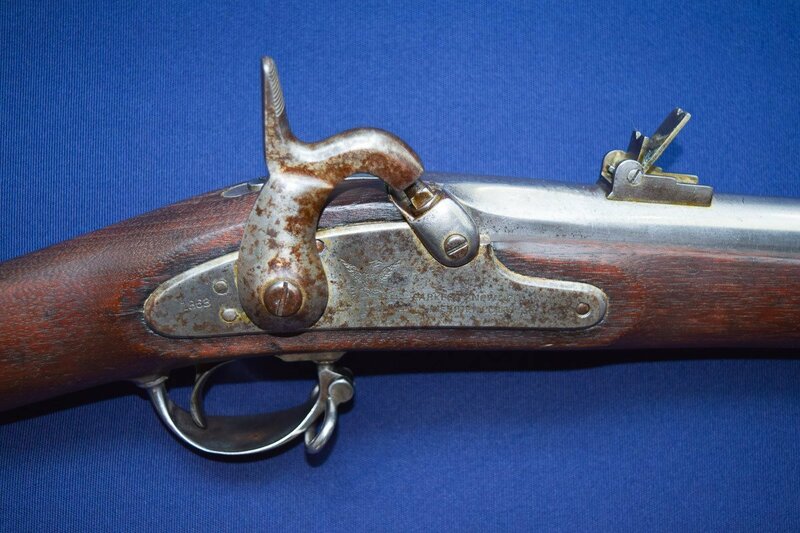 Sling swivels are intact along with tulip shaped ramrod. 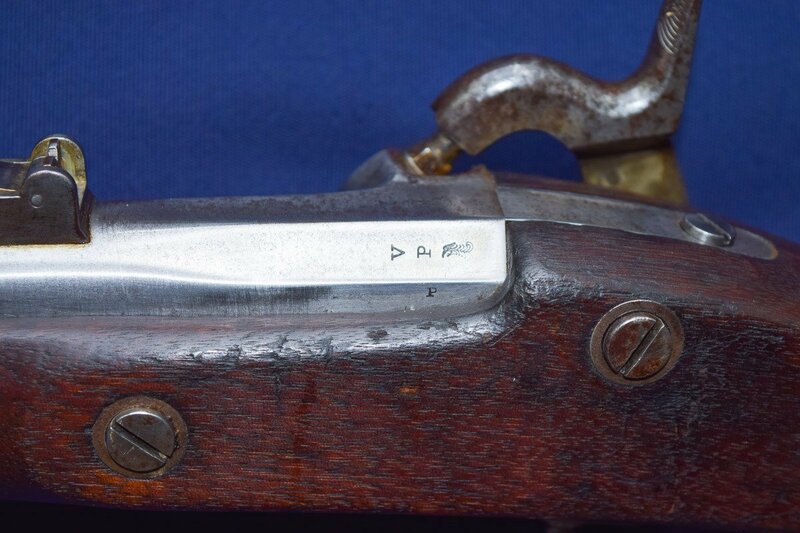 Very good condition with barrel showing nearly all original bright finish with lock & hammer showing some light spotted freckling. 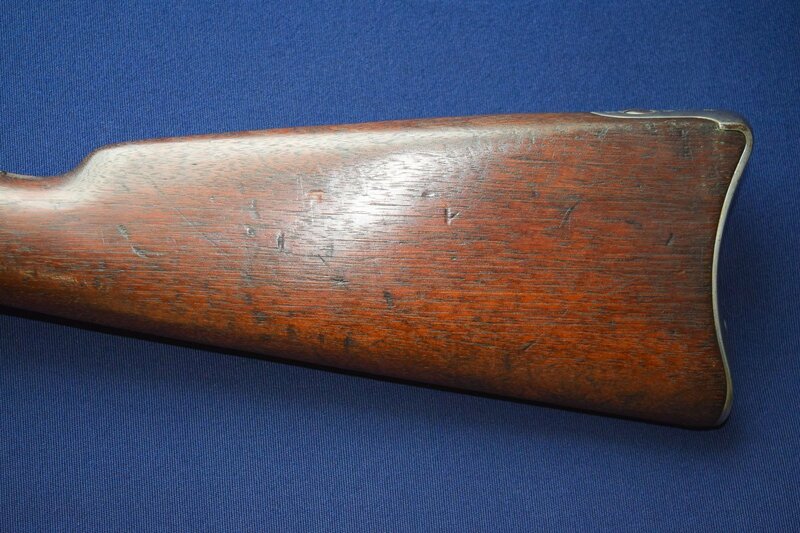 The walnut stock is very good showing typical scattered use mark with no cracks. 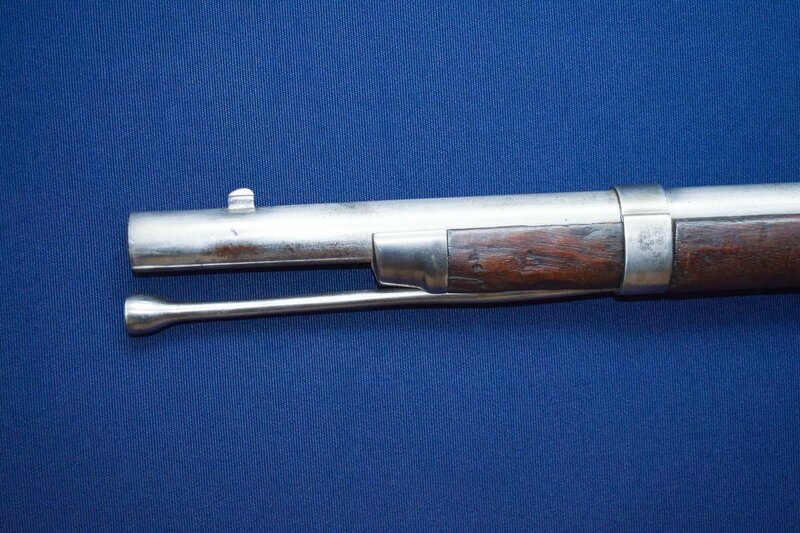 Mechanically sound with very good bore showing some scattered pitting toward muzzle. 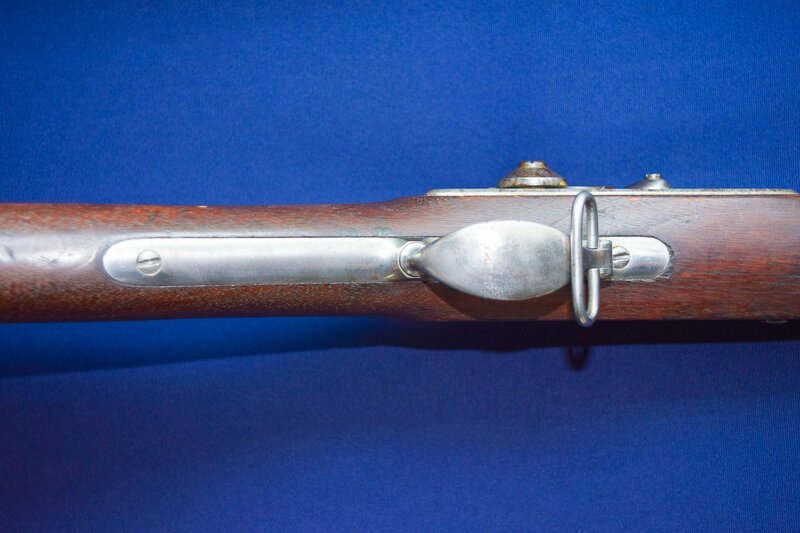 Overall, this musket is a strong example from a rare contract that would make a very nice addition to any Civil War or Military Collection.